This stoe is very strange, there is the word allah written in arabic text, its really wonderful, if you are a colector, then i believe that this stone will be best for you. i am so sorry because this stone is not owned by primbon ramalan. this stone was taken from a sourch of blog from the internet. 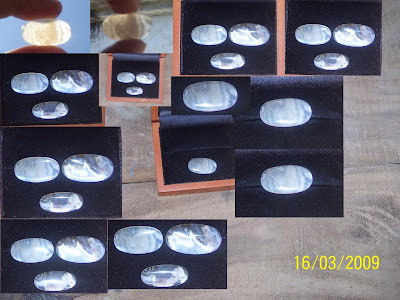 it is hoped that it can give faluable information for paranormal or antic and strange stone in the world. The leaves are very rare and may only have some of the world tree, Karna leaves can be found in the Alang2 the extent of 3km x 4 (right, left, up and down) along the 3 kilo meter and this tree is its middle How to use it to eat leaves ... just this little kira2 scratch smallest nail you and the Peace and in chewing and swallow, then wait 5 minutes and Ready for killed directly or cutt with knife to skin ... Allah will only have like a red line Not affected the Scratch or split very big ... God with All kindness. Wood magic power is the type of wood that naturally store potential energy are both magical Supranatural / Medical. This is the strength of the godlike power that emanated kea lam, particularly on certain types of plants. Since ancient wood - wood magic power is well known by the ancestors and used as a supplement to meet their needs missal: tolak Balak, prophylactic disease, and the ceremony - the ritual ceremony that is magical. Over time the development of wood - wood be lucky as it were neglected or even abandoned, because the public say it as syrik. It is because of the strength of recognizing objects behind the strength of GOD. But if we think and believe this wood-containing substances and material substances - non-chemical materials that save energy BIOENRGY that emit magnetic fields layer / light (aura) that function outside the body reject the negative vibration. In fact there are many more substances - substances that have not been known.